In this lesson we're going to move the power chords around the neck to fit different keys. This includes moving the voicing to the 5th, 4th and 3rd string. 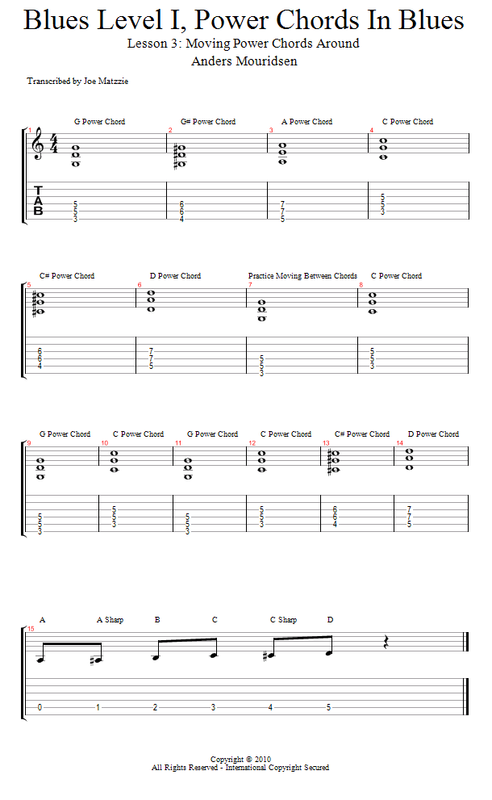 You will need these basic skills to use power chords in the blues!